Over 30 members of Darjeeling district Youth Trinamul committee today resigned en masse, alleging that those engaged in "illegal activities" had been given posts in the organisation by the district president, Bikash Sarkar. 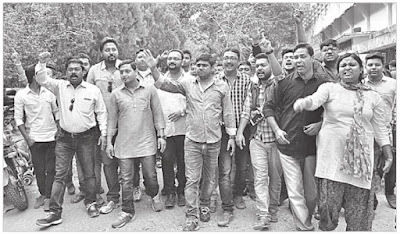 Around 35 members of Trinamul Youth committee submitted the resignations to minister Gautam Deb, who is the Darjeeling district president of Trinamul. "The district Youth Trinamul president has failed to deliver his responsibility and announced a district committee comprising people who are irrelevant politically. People who are associated with illegal activities have also been put in important posts. We demand that he (Bikash) resign as the district president," said Dhiman Bose, a vice-president of the district committee who tendered his resignation. He didn't, however, elaborate on the "illegal activities". The members who revolted alleged in their letters to Deb that Bikash was patronising several illegal activities and encouraging formation of syndicates in the district. "He is blatantly ignoring and insulting workers who have been associated with Trinamul since the formation of the party. 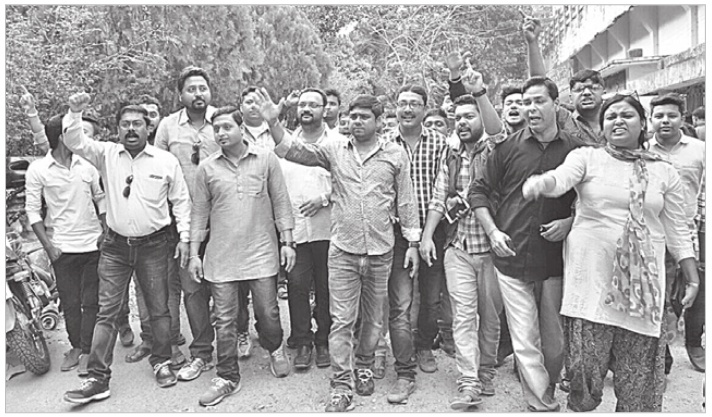 We have stepped down as we have lost confidence in him," said Manoj Verma, another Trinamul youth leader who had been made a vice-president in the district committee. On March 15, Bikash had announced the Darjeeling district committee of Youth Trinamul with 133 members. In recent past, insiders said, such a huge committee was never formed by the youth wing in any district. Yesterday, the new district committee of Youth Trinamul was formed in Jalpaiguri. In total, there are 57 members on the committee. "In Darjeeling district, we have a separate youth Trinamul committee for the hills. The committee headed by Bikash Sarkar is only for Siliguri subdivision and adjoining areas of Jalpaiguri district. If our friends in Jalpaiguri can settle with a 57-member committee for a district that is so vast, there is no logic in forming a 133-member committee here," a district Trinamul leader said. Told about the demand for his resignation, Bikash said: "I have been appointed to this post by the party leadership. I would not react to the comments by a handful of people."